With all the stress and environmental pollutants floating around, it’s no wonder our skin breaks out so often. We would love to hop over to our favorite spa for a facial but let’s face it: frequent spa visits can get expensive. Therefore our MyTopFace experts went on a quest to find a way we can get professional help but in an affordable DIY way. 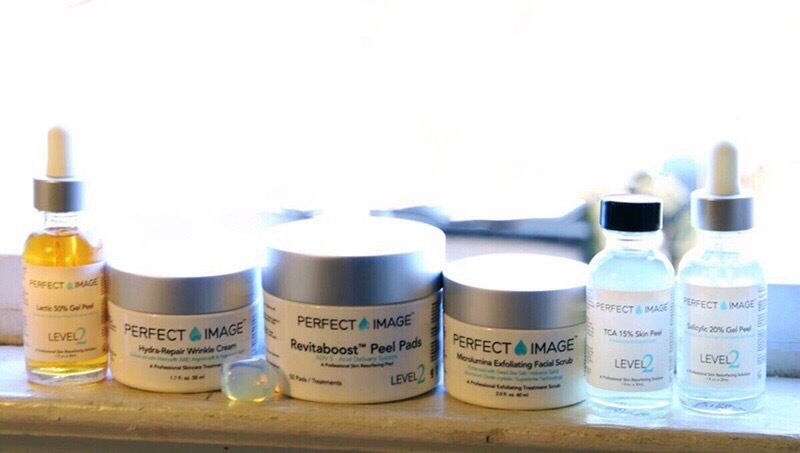 Last time we reviewed Perfect Image, we were left with perfectly beautiful skin. This professional skincare brand was created in 2006 by a team of chemists who focused on safe, yet effective ingredients based on scientific studies and clinical research. Their unique line of skin peels was developed using the latest research and resources in the skincare industry to craft powerful recipes that lead to real results. All research is cruelty-free, and their products are free of parabens, sulfate, and phthalates. The science behind Perfect Image intrigued our experts, and we were excited to try it again. 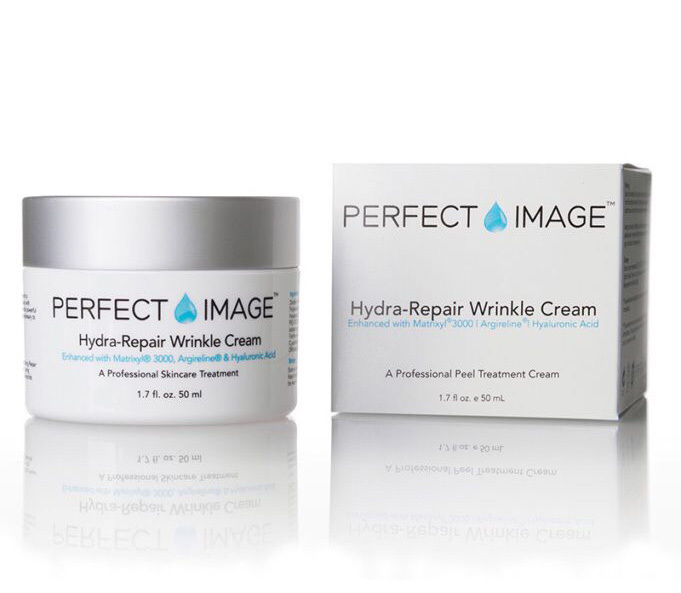 Our faces are dry from winter, so we first tested the Hydra-Repair Wrinkle Cream in hopes it would replenish our skin. This product contains natural plant extracts of cucumber, green tea, and chamomile that together work to provide to moisturize and protect the skin. It also contains Matrixyl 3000, which boosts the collagen promotion in your skin to stimulate new cell growth. This powerful recipe of ingredients work together to repair and rehydrate dry, damaged skin, and reduce signs of aging like wrinkles and fine lines. We placed a pea-sized amount to our fingertips and evenly distributing it into our skin. In upward circular motions, we massaged the area for about 30 seconds. The product is rich and creamy but not at all heavy. It quickly absorbed into our skin and did not leave behind a sticky, oily feeling. We found our skin felt immediately refreshed. Overall, the product helped our skin maintain a smooth, bright appearance. 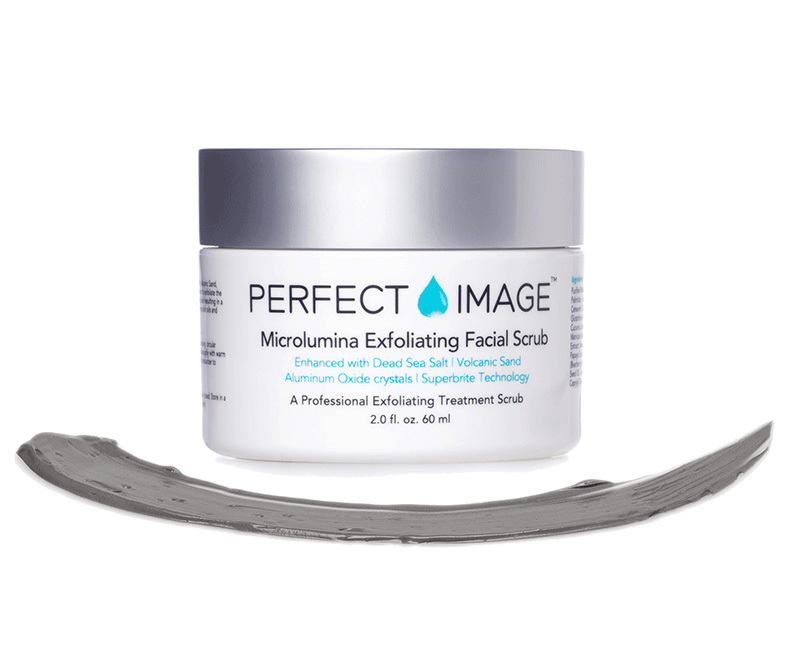 Then our experts tested the Microlumina Exfoliating Facial Scrub to help the natural shedding process. This product contains dead sea salt, volcanic sand, kaolin clay, and micro alumina crystals which work to scrub the outer dead skin cells and repair the underlying surface areas underneath. This formula is designed to boost a smoother, more polished appearance with fewer wrinkles, fine lines, scars, and pigmentation. We applied this scrub twice a week using upward, circle motions for one minute. We made sure not to rub too hard as to not damage our already sensitive skin. The mirror showed us instants results! We were pleased by how revitalized our faces felt and looked after. Our skin felt fresh but not stripped of its natural oils. MyTopFace (MTF) beauty hack: Suffering from dryness on your body as well? This scrub can be used in tricky areas such as elbows, knees, back, and heels. Simply use the scrub to buff out rough and dull surface areas. You’ll feel as soft as a baby’s bottom! 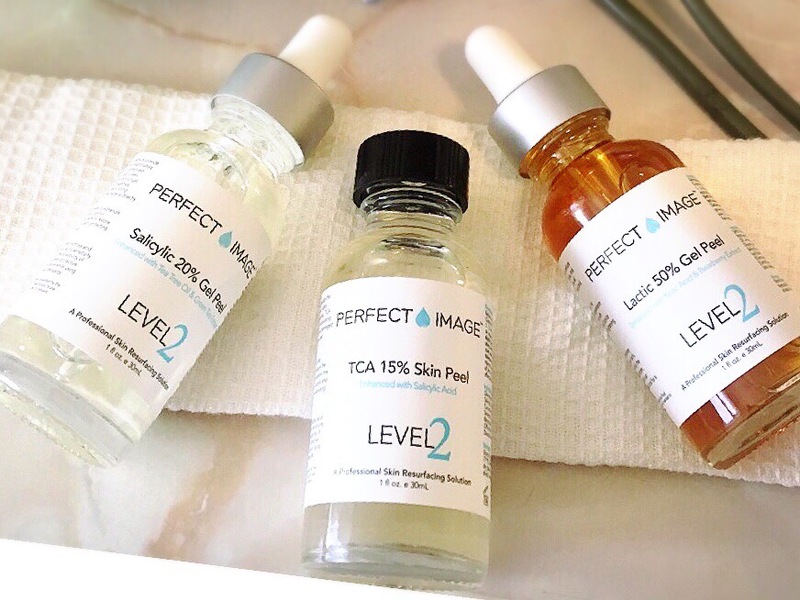 Now it was time to test Perfect Image’s DIY skin peels. Some people cringe when they hear the word “peel” in regards to a beauty product, but we had a feeling there was no need to fear with Perfect Image products. Their skin peels are divided into four different professional grade peels for each unique skin type. Our experts fell under the Level 2 category, which is for oily, non-sensitive skin types. To test Perfect Image skin peels, we first washed our face and then applied an even amount of product all over. The instructions stated it was normal to feel a tingly, stinging sensation. 30 seconds later, we rinsed the product off with cold water. Our experts made sure to wait at least one week before using a peel treatment again. It is important to take caution when using skin peels, and we recommend staying by the sink so you can wash the product off quickly. 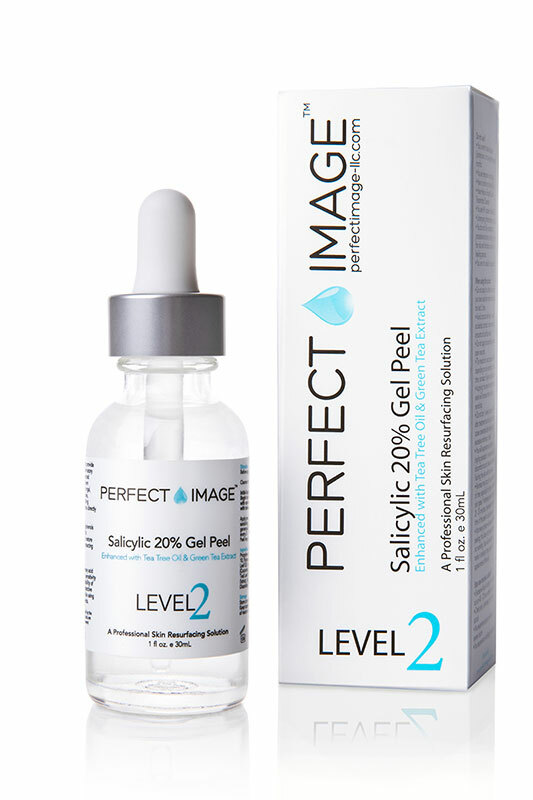 The Salicylic 20% Gel Peel contains tea tree oil and green tea extract, which together create powerful antioxidants to protect your skin against free radical damage, and rebuild a more vibrant look. This peel is ideal for those suffering from acne, breakouts and enlarged pores since the product is designed to clarify skin. After testing this product, we were amazed at how brighter and clearer our skin looked. The ugly blackheads in our T-Zone area were instantly removed. 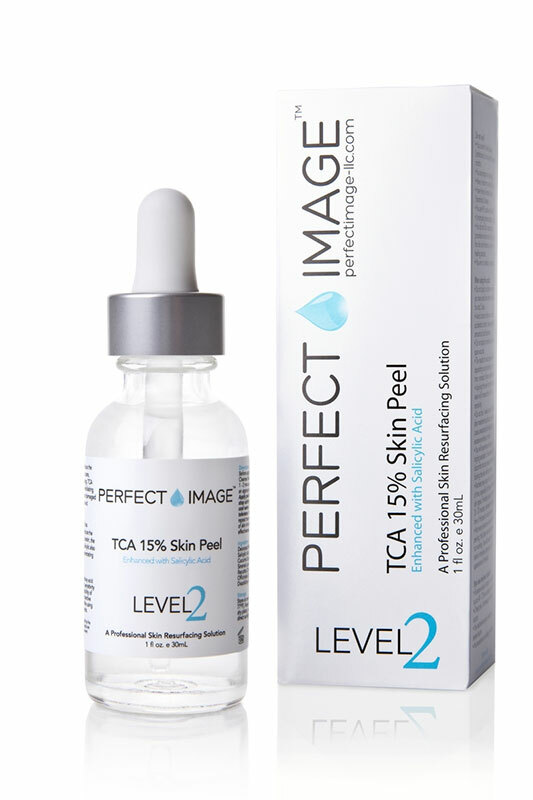 The TCA 15% Skin Peel contains TCA (Trichloroacetic Acid), which is a powerful exfoliating agent that works to remove the damaged outer layers of the skin. It also contains green tea, chamomile, and salicylic acid extracts, which together create antioxidant, anti-inflammatory, and anti-bacterial benefits to the skin. The product reduces and unclogs pores. We believe this peel is for individuals who suffer from breakouts and rough, dry skin. We found this skin peel left us with a smoother, softer appearance. 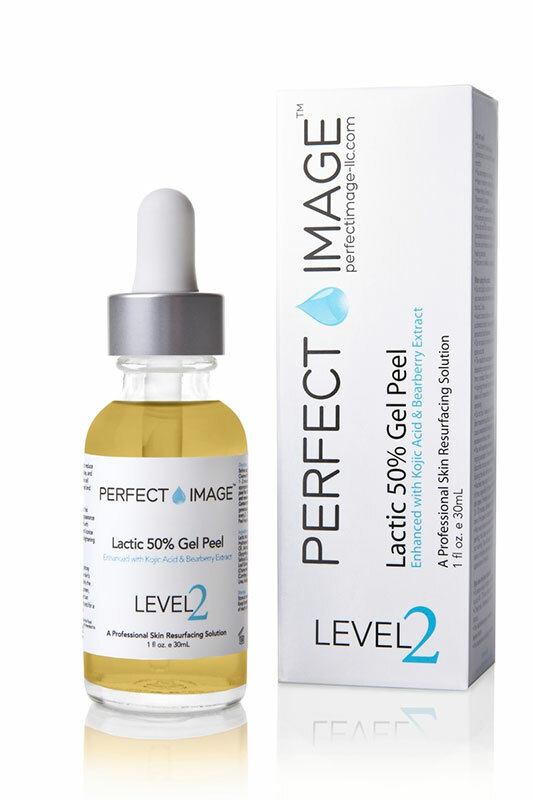 The Lactic 50% Gel Peel contains lactic, an ingredient that promotes stimulation of collagen production. The botanical extracts of bearberry and licorice in this product provide natural skin lightening properties. Therefore, we believe this peel is ideal for individuals who want to reduce any pigmentation conditions of the face & body like age spots, lines, wrinkles, freckles, and scars. After using the peel, our faces looked brighter and more even-toned. We no longer had to rely on photo editor apps to conceal our blemishes from our favorite selfies. 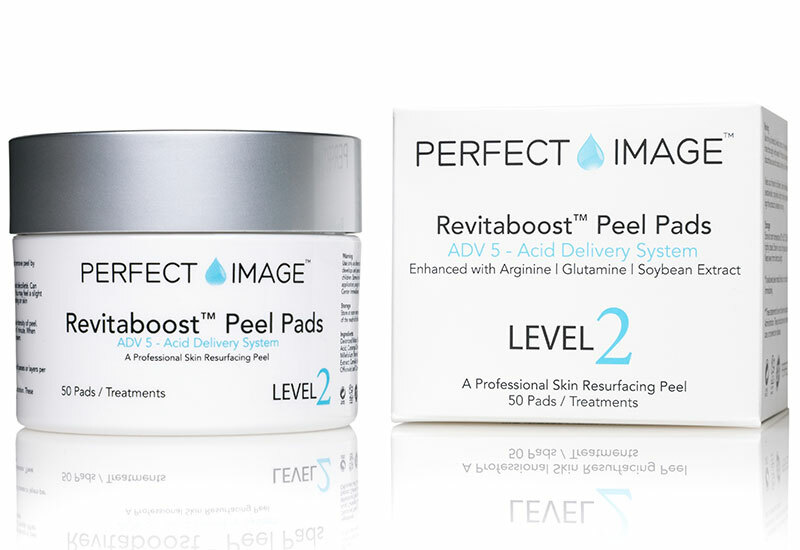 The last skin peel we tested was the Revitaboost Anti-Aging Peel Pads. This treatment was easy to apply since the product is placed on pre-soaked cotton towelettes. This powerful formula contains arginine, which works as an antioxidant to help naturally build and promote the elasticity and vitality in your skin. Therefore, we believe this product is ideal for individuals dull skin that want to fight aging. To test, we took one pad and applied it to our face and neck area in upward, circular motions. After 30 seconds, we flushed the product off with cold water. Our skin felt younger, rejuvenated and brighter! Once again, we were impressed by the science and technology behind Perfect Image. Their products are balanced with natural ingredients and plant extracts that work to benefit your skin. We were happy to receive spa results at home in our pajamas. It was also empowering to self- administer the DIY skin peels all done in less than one minute. Perfect Image products are so affordable and so effective.